Home > Plaster > Regular Set > 50 LBS. 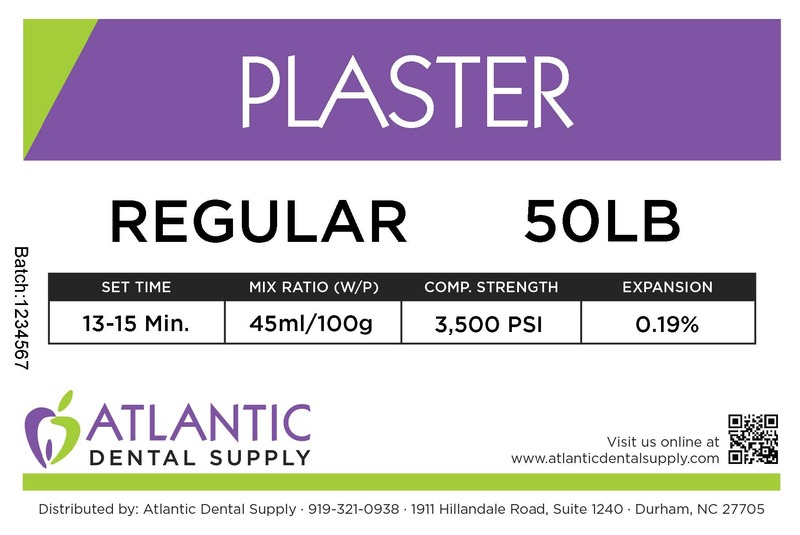 > Plaster Regular 50lb. Dental Plasters offered by Garreco are formulated especially for use in today's complex field of dentistry. Designed for articulating and flasking procedures, Garreco plasters mix smoothly and exhibit excellent working characteristics. 3,500 psi., 24 MPA, 17-19 min. Set Time, 0.19% Expansion.